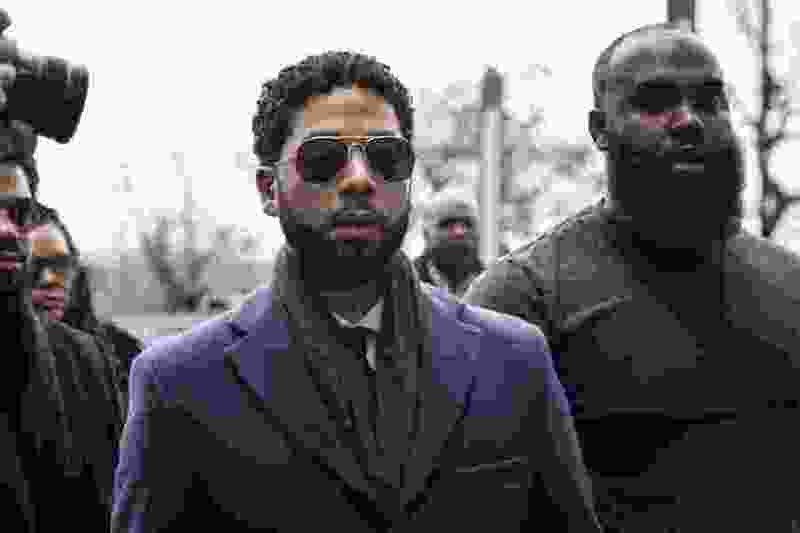 (Ashlee Rezin | Chicago Sun-Times via AP) Empire actor Jussie Smollett, center, arrives at the Leighton Criminal Court Building for his hearing on Thursday, March 14, 2019, in Chicago. Smollett is accused of lying to police about being the victim of a racist and homophobic attack by two men on Jan. 29 in downtown Chicago. Chicago • Attorneys for “Empire” actor Jussie Smollett said Tuesday that charges alleging he lied to police about a racist and homophobic attack have been dropped. Smollett attorneys Tina Glandian and Patricia Brown Holmes said in a statement that Smollett’s record “has been wiped clean.” Smollett was indicted on 16 felony counts related to making a false report that he was attacked by two men. Gomberg: I’m not Jussie Smollett or Michael Cohen, but I’ve messed up. Should I be judged in the same way they are?